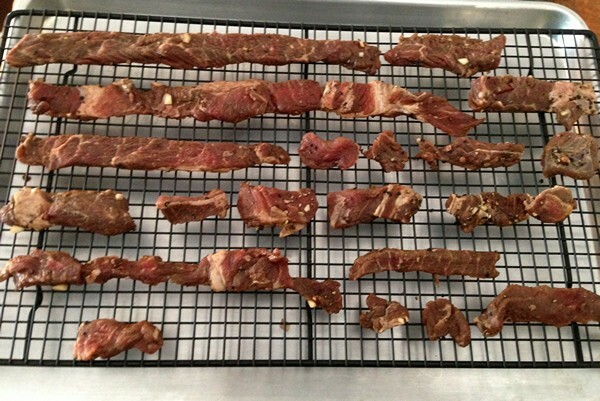 For a long time now, the Accidental Locavore has been thinking about making some beef jerky. Not that anyone in my house is a huge jerky fan (except possibly the dog), however several lovely, large pieces of grass-fed beef from Brykill Farm in my freezer looked like they might make some great jerky. Give yourself a couple of days for this project. It’s not at all hard, you just need marinating and cooking time. Slice the steak across the grain into ¼” slices. Put the rest of the ingredients into a large Ziploc bag. Add the steak slices and toss well, making sure all the strips are well coated with the marinade. Marinate in the refrigerator overnight. Preheat the oven to 200°. Remove the steak from the marinade and pat dry with paper towels. Place the strips on a rack over a baking sheet (to catch any drips), leaving a little space between them. Bake for about 6 hours until all the moisture is removed. Cool, chew and enjoy! Store in an airtight container in the fridge. My verdict: Pretty good! I didn’t add any salt to the marinade because of the soy sauce and Worcestershire and would have liked it a little saltier. Since I made the jerky, I had a great sauce with hoisin and Sriracha, so the next batch might have a little Sriracha in it. The Szechuan peppercorns are a nice touch, but probably not necessary. 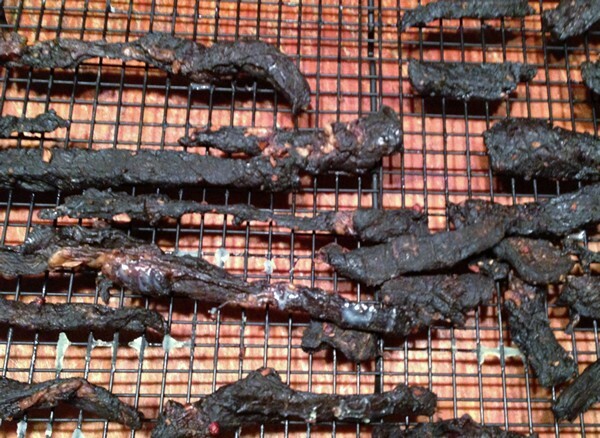 I looked at a bunch of jerky recipes and then just used ingredients that appealed to me, you should do the same. If you have a convection oven, cooking time will probably be reduced. I’ll definitely be making more, so what’s your favorite jerky ingredient? Sounds good! I’ll give it a try on the next batch. Looks pretty good. I’d have to mention my preferred cuts of meat are top or bottom round steak or London Broil. Mainly because they are very lean cuts. Unlike hot methods of beef prep, you really want as little fat as possible. 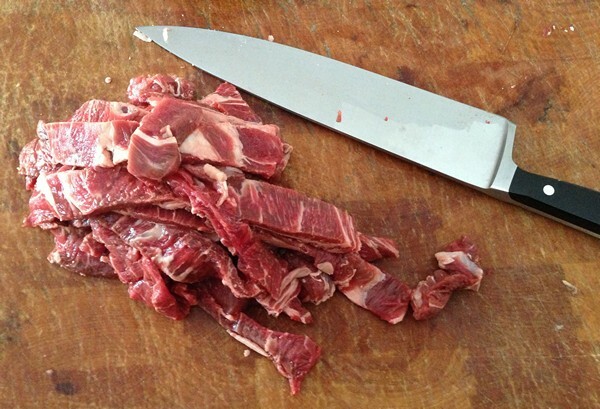 Make sure you cut the beef strips across the grain, makes much easier eating. I found honey doesn’t add much flavor, so I generally go with a dark brown sugar and just freshly ground pepper (food mill is great for this) works fine. Maybe add a bit of ground, dried cayenne for a bit of a punch.